Whether through crisis or opportunity, leaders reach defining moments with their teams when high performance truly matters. Leaders can take three actions to move their teams to peak performance. 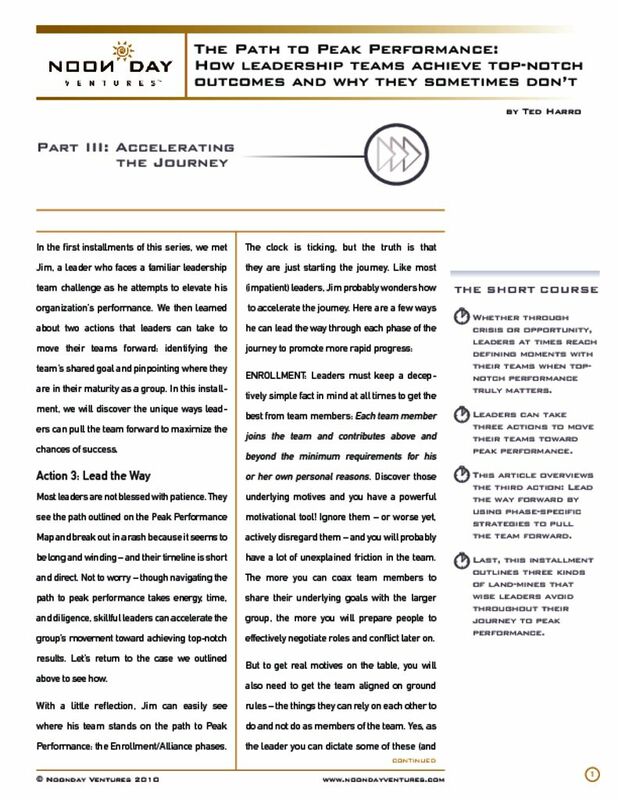 The Path to Peak Performance, Part III: Accelerating the Journey outlines the third action.